In annihilating the commencement (the origins or breakout of European being)—and thus in annihilating the people whose blood flowed in American veins—New World Europeans, unknowingly, destroyed the essence of their own being—by disowning their origins—denigrating the source of their life-form, denying themselves, thus, the possibility of a future. Americans destined their self-destruction by warring on their commencement—by severing the root of their being. But Europe—this unique synergy of blood and spirit—cannot be killed, for her essence, Heidegger tells us, is the “commencement”—the original—the enowning—the perpetual grounding and re-asserting of being. Europe thus always inevitably rises again and again—like she and her bull from under the waters, which sweep over her, as she undauntedly plunges into what is coming. Her last stand is consequently always her first stand—another commencement—as she advances to her origins—enowning the uncorrupted being of her beginning—as she authenticates herself in the fullness of a future which enables her to begin over and over. The opposite holds as well. America’s annihilation of her commencement revealed her own inherent lack of commencement. From the start, her project was to reject her European origins—to disown the being that made her who she was—as her Low Church settlers pursued the metaphor of Two Worlds, Old and New. For having emerged, immaculately conceived, from the jeremiad of her Puritan Errand, America defined herself in rejection of her past, in rejection of her origins, in rejection of her most fundamental ontological ground—as she looked westward, toward the evening sun and the ever-expanding frontier of her rootless, fleeting future, mythically legitimated in the name of an “American Dream” conjured up from the Protestant ethic and the spirit of capitalism. Americans, the preeminent rational, rootless, uniform homo oeconomics, never bothered looking ahead because they never looked back. Past and future, root and branch—all pulled up and cut down. No memory, no past, no meaning. In the name of progress—which Friedrick Engels imagined as a “cruel chariot riding over mounds of broken bodies”—American being is dissolved in her hurly-burly advance toward the blackening abyss. Yet however it is spun, it was from Europe’s womb that Americans entered the world and only in affirming the European being of their Motherland and Fatherhood was there the possibility of taking root in their “New” World—without succumbing to the barbarians and fellaheen outside the Mother-soil and Father-Culture. Instead, America’s founders set out to reject their mother. They called her Egyptian or Babylonian—and took their identity—as the “elect,” the “chosen,” the “light to nations”—from the desert nomads of the Old Testament—alien to the great forests of our Northern lands—envious of our blue-eye, fair-hair girls—repelled by the great-vaulted heights of our Gothic Cathedrals. The abandonment of their original and only being set Americans up as the perpetual fixers of world-improvement—ideological champions of consummate meaninglessness—nihilism’s first great “nation”. While Heidegger was preparing his lecture, tens of thousands of tanks, trucks, and artillery pieces started making their way from Detroit to Murmansk, and then to the Germans’ Eastern front. A short time later, the fires began to fall from the sky—the fires bearing the curse of Cromwell and the scorched-earth convictions of Sherman—the fires that turned German families into cinders, along with their great churches, their palatial museums, their densely packed, sparkling-clean working-class quarters, their ancient libraries and cutting-edge laboratories. The forest that took a thousand years to become itself perishes in a night of phosphorous flames. It would be a long time—it hasn’t come yet—before the Germans—the People of the Center—the center of Europe’s being—rise again from the rubble, this time more spiritual than material. 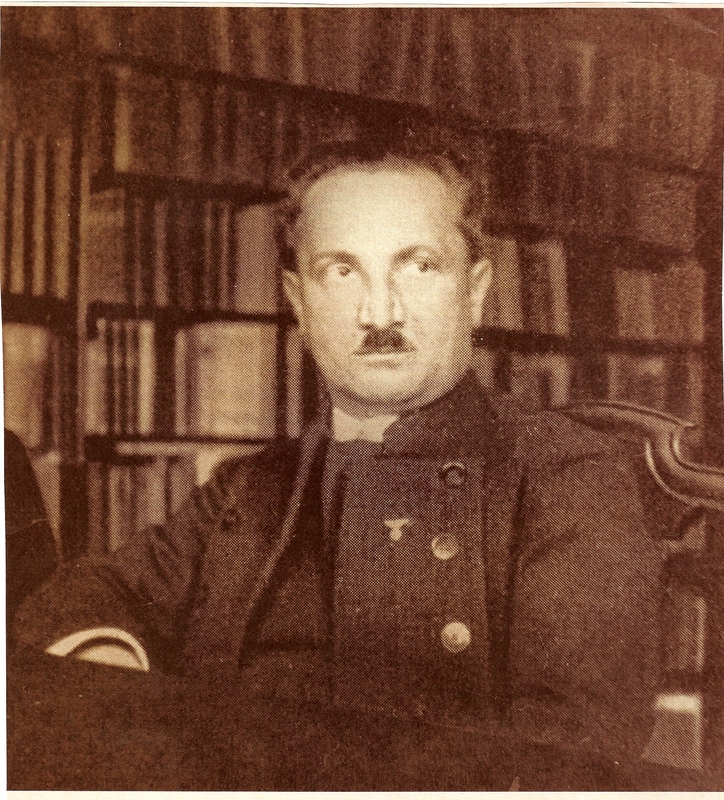 Heidegger could know little of the apocalyptic storm that was about to destroy his Europe. But did he at least suspect that the Führer had blundered Germany into a war she could not win? That not just Germany, but the Europe opposing the Anglo-American forces of Mammon would also be destroyed? An awakened, recommencing Europe promises, thus, to repudiate America’s betrayal of herself—America, this foolish European idea steeped in Enlightenment hubris, which is to be forgotten (as a family skeleton), once Europe reasserts herself. In 1942, though, Heidegger did not know that Europeans, even Germans, would soon betray themselves to the Americans, as the Churchills, Adenauers, Blums—Europe’s lickspittle—rose to the top of the postwar Yankee pyramid designed to crush every idea of nation, culture, and destiny. Once Europe awakes—it will one day—she will re-affirm and re-assert herself—no longer distracted by America’s glitter and tinsel, no longer intimidated by her hydrogen bomb and guided missiles—seeing clearly, at last, that this entertainment worthy of Hollywood conceals an immense emptiness—her endless exercises in consummate meaninglessness. Incapable therefore of beginning again, having denied herself a commencement, the bad idea that America has become is likely, in the coming age of fire and steel, to disintegrate into her disparate parts. At that moment, white Americans will be called on, as New World Europeans, to assert their “right” to a homeland in North America—so that there, they will have a place at last to be who they are. If they should succeed in this seemingly unrealizable fortune, they will found the American nation(s) for the first time—not as the universal simulacrum Masons and deists concocted in 1776—but as the blood-pulse of Europe’s American destiny. Commencement, as such, is “that which is coming and futural”—that which is the “historical in history”—that which goes very far back and is carried forward into every distant, unfolding future—like Pickett’s failed infantry charge at Gettysburg that Faulkner tells us is to be tried again and again until it succeeds. “One’s own”—this assertion of ourselves—Heidegger contends, will only come if we defy conformity, convention, and unnatural conditioning to realize the European being, whose destiny is ours alone. At that moment, if we should succeed in standing upright, in the way our ancestors did, we will reach ahead and beyond to what is begun through every futuristic affirmation of who we European-Americans are. For desolation there will be—in this struggle awaiting our kind—in this destined future defiantly holding out a greatness that does not break as it bends in the storm—a greatness certain to come with the founding of a European nation in North America—a greatness I often fear that we no longer have in ourselves and that needs thus to be evoked in the fiery warrior rites that once commemorated the ancient Aryan sky gods, however far away or fictitious they have become. (*) Martin Heidegger, Hölderlin’s Hymn ‘The Ister’, trans W. McNeill and J. Davis (Bloomington: Indiana University Press, 1996), p. 54ff.